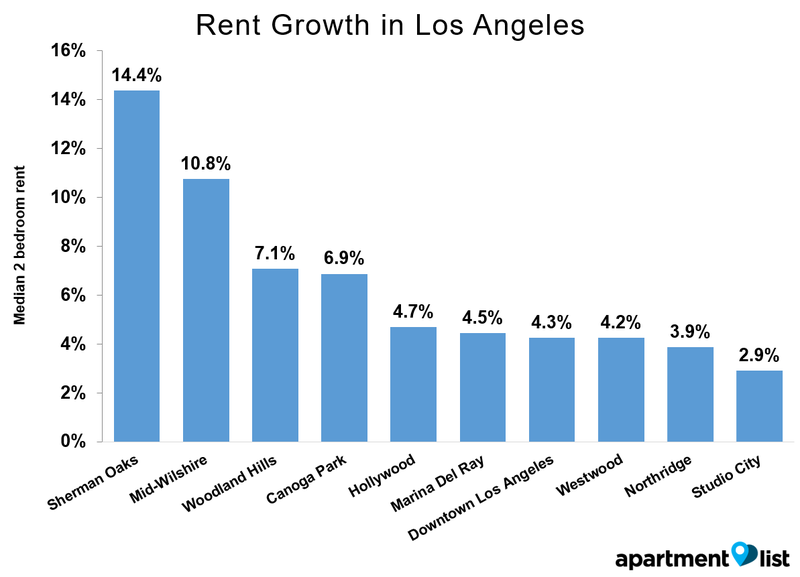 Earlier this week, Apartment List released its city rent report for the City of Angels. The results? Rents in Los Angeles decreased by 0.2 percent over the past month, bringing rates to 5.5 percent higher than last year. 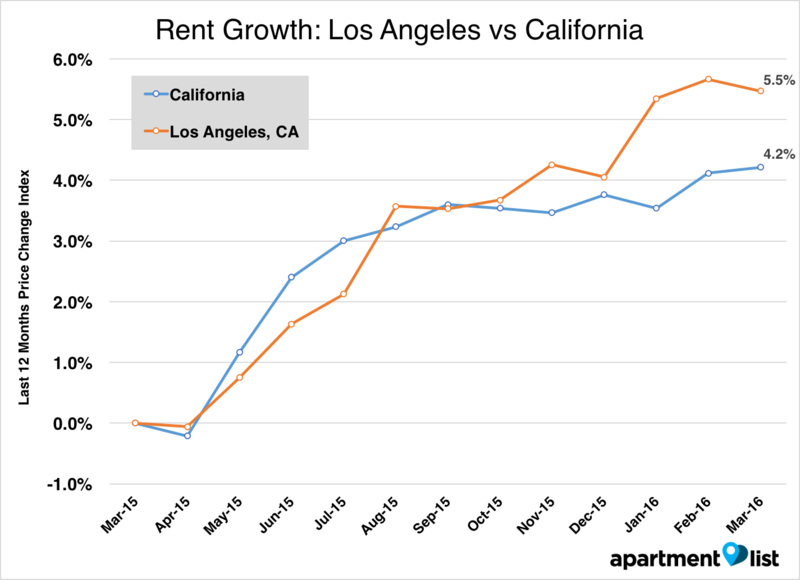 Rents in Los Angeles have experienced a larger increase (5.5 percent) over the past year than California rents overall (4.2 percent), at a difference of 1.3 percent. 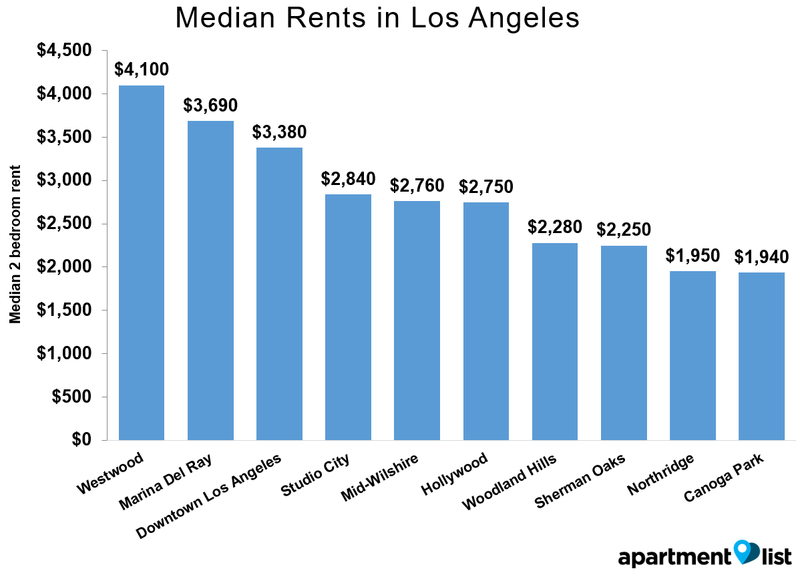 A 1-bedroom in Los Angeles has a median rent price of $1,930, while a 2-bedroom costs $2,630. Westwood continues to be the most expensive neighborhood in Los Angeles, with a median 2-bedroom rent of $4,100. Marina Del Ray comes in as second most expensive, with median rents for a 2-bedroom at $3,690. Hollywood is sixth most expensive, at $2,750 for a 2-bedroom apartment. Sherman Oaks has beat out Mid-Wilshire this month as having experienced the largest rent increase over the past year. Rents in Sherman Oaks are 14.4 percent higher than they were a year ago, at a median price of $2,250 for a 2-bedroom and $1,790 for a 1-bedroom. Mid-Wilshire’s rents are 10.8 percent higher than they were a year ago, and Studio City’s rents are up year over year by 2.9 percent.